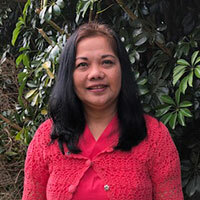 Karyn Clay began her career in the aging field at Ocean View Care Home in Cayucos, California. She quickly decided to major in Gerontology at San Diego State University and completed her Internship at Kona Adult Day Center in Kealakekua, Hawaii. It was during that Summer program in 1997 that Karyn realized her dream to open a Care Home in Waimea. In 1998, she graduated from SDSU and, within a few weeks, had moved permanently to the Big Island. Her experience spans long-term care, home health, residential care and adult day care. With the support of her father, Ken Kjer, she opened HoʻoNani Day Center in 2002. In 2015, her college dream became a reality when she opened HoʻoNani Care Home. Karyn participates in a variety of organizations that enhance her skills and professionalism. She has been Secretary and President of Adult Day Centers Hawaii, Inc., and also enjoyed being President of the Waimea Professionals chapter of Business Networking International (BNI). 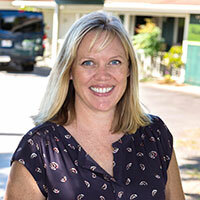 Karyn is currently Vice President of the North Hawaii Hospice board of directors. Through their connection in BNI, Karyn and KC Stallsmith of CrossFit AllStar collaborated in 2013 to create Kupuna CrossFit. This program has gotten national attention due to it’s innovation. A feature was filmed by CrossFit Media which highlights this program and especially acknowledges the ever inspiring Kameichi Yawata who started working out at CrossFit at 99 years of age and continued to work out weekly until he was almost 102. You are invited to watch the video here. Once a month, Karyn also has an opportunity to reach out to her Waimea community through an article in the North Hawaii News titled “Kupuna Transitions.” The name of this article reflects her understanding of the ever changing dynamics that the older population experiences, especially when they require some form of care from family and/or professional services. Karyn also leads a caregiving support group at Tutu’s House the first Wednesday of each month from 11am-12pm and offers private consultations. MABUHAY! I’m Gracia “Grace” Custodia, and I came from the Northern part of the Philippines. I moved here to Hawaii to join my husband. I finished my Bachelor of Science in Nursing at Mariano Marcos State University in April of 1988. I took the Board of Nursing that same year and luckily I passed. So, I worked as a Registered Private Nurse in a hospital close to where I lived. I am so grateful to be working at Ho’oNani for I feel that I am caring for my Grandmothers and Grandfathers whom I have missed so much… I really love and enjoy working with the clients. I am so thankful to my Executive Director Karyn for giving me the chance to work with them, since this was my first job here in the Island of Paradise (Hawaii). “Fei” for short. My interest in elderly care started when I was young. At the age of 14, I took care of my great grand parents. At times, when family members needed a caregiver, I volunteered. I was fascinated. It enhanced my compassion. I graduated from a Secretarial Course at the University of Makati in 1981, then worked as an Administrative billing clerk in a government hospital where my curiosity about the health field increased. I stepped out of my comfort zone to provide a better and hopeful life, for my parents and siblings. In 1987, I received an exciting opportunity to migrate and followed my other half here to Hawaii. 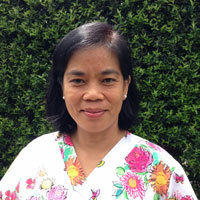 I became a Nursing Assistant through UH HCC and worked at a care home, followed by home health and private duties. I adore the elders, it’s a very rewarding job. In 2008, a lucky chance led me to work in a dual diagnosis facility. As a mentor, I dealt with co-occuring disorders. I was also a former foster parent for Family Court and DHS. But the most challenging job that I did was caring for my father, who then underwent dialysis treatment here in Hawaii. To be self-assured, I restudied CNA skills at Island CPR in Kona in February, 2017. I feel thankful and blessed to be a part of Ms. Karyn Clay’s team. I look forward to coming to work and taking care of the residents who live in her care home. It’s inspiring to me to be around these wonderful folks. Having learned through my experience with people in all walks of life, I’ve been able to make a positive difference through my approach to work. I am Marie Jane Pilotin-Rayray, 30 years of age and pure Ilocana. I was born in Ilocos Region, Northern part of Philippines. I took up the degree Bachelor of Science in Nursing at University of Northern Philippines and graduated March 2009. I took the Philippine Board Exam for Nurses last June 2009 and I passed it. After passing the board exam, I worked as ICU nurse for 4 years in a private hospital nearby our town. 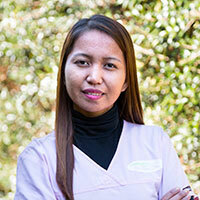 I wanted to explore more and enhance my knowledge about the nursing profession so I decided to work abroad. I moved to Saudi Arabia last July 2013 and I worked there as ICU nurse in a 500 bed government hospital. I passed the Exam for Nurse Specialist. I’ve been working in the critical area for 4 years. Since my husband is living here in Hawaii, I migrated here in November 2017 to live here with him. I really love the place, most especially the people. Nursing is my passion so I decided to apply to work at Ho’oNani. I started the job in January 2018. I find the job interesting and I enjoy taking good care of, and having conversations with, the residents. I treat them as my grandparents as well. I really love my job now as well as my co workers. Thanks to Ho’oNani for giving me this opportunity. Charly Clay has provided Intergenerational Therapy at Ho’oNani ever since her birth in 2008. She is very good at giving big hugs and entertaining everybody with her enthusiastic energy, BINGO calling and trivia competitions. 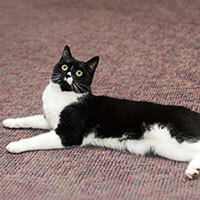 She is an avid lover of animals, and convinced owner Karyn Clay to provide a home for Misty, the therapy cat. 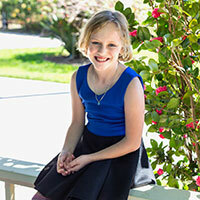 Misty is a joyful and loving character who brings amusement and affection to all who sit in her path. She curls up in laps for some loving attention and enjoys chasing toys. Misty also desires a play date with the two parakeets who reside at our care home, and visits them outside their cage daily. 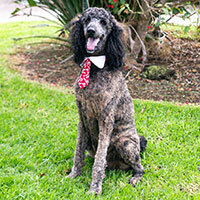 Koko (Kokoleka means chocolate in Hawaiian) has completed formal Pet Therapy training with Focused K9’s and continues to train with them as they bring other pet therapy trainees to work with our kupuna. Koko enjoys showing off his ‘crosspaw’ trick, as well as attempting to engage Misty in a sparring war. He loves going on car rides with our kupuna, as well.